As a leader in specialty coffee and coffee makers, Green Mountain Coffee Roasters, Inc. is recognized for its award-winning coffees, innovative brewing technology, and socially responsible business practices. GMCR supports local and global communities by offsetting 100% of its direct greenhouse gas emissions, investing in sustainably-grown coffee, and donating at least five percent of its pre-tax profits to social and environmental projects. Starting with the purely finest ingredients available, Crop Harvest Earth Vodkas are USDA certified organic artisanal vodkas produced from organic grain grown on America’s plains. 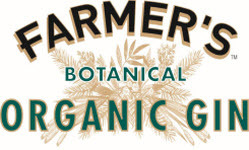 Crop organic grain is harvested from fertile, healthy soil free of artificial fertilizers, pesticides and chemicals, and Crop Vodkas are distilled so efficiently that no carbon treatment or charcoal filtering is required. 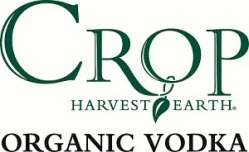 The Crop Vodka family includes Crop 80 Proof Organic Artisanal Vodka, Crop Organic Cucumber Vodka and Crop Organic Tomato Vodka. Prentiss Smith & Company, Inc. specializes in socially responsible portfolio management for individuals, family groups, endowments and foundations. With offices in Burlington and Brattleboro, Vermont, we have grown to be one of the larger socially responsible investment firms in New England with assets under management of $477 million as of 3/31/2011. You vote with your money every day. We believe that the ideal investment program builds the economic security of the client while improving the social and natural environment. We work hard to achieve these objectives for our clients. Our performance record may be found at our website www.socialinvesting.com. This website adds my voice to the current conversation regarding food, global aid and the environment. I think we need to concentrate on reassessing today’s challenges, then review, reprioritize and rethink our approaches so we can take effective, concrete action and realize our goals. Since 1738 generation after generation of Works Family members have farmed the Connecticut River Valley in southern Vermont and New Hampshire culminating in today’s Peaked Mountain Farm and Sheep Dairy. As modern day award winning farmstead cheese makers we are also proud to offer a wide variety of gourmet food offerings including cheeses, charcuterie, lamb, pork, and goat products as well as an onsite artisanal bakery and sugarhouse. Look for us at local farmers’ markets, The Brattleboro Food Coop, or wherever fine gourmet products are sold and enjoyed … LOCALLY!!! The Marlboro MBA in Managing for Sustainability takes a project-based approach to integrating environmental and social responsibility with an MBA’s requisite business management skill-set. Classes meet one weekend a month in Brattleboro, VT and are supported by an online component. Coureswork includes systems thinking, personal leadership, and triple-bottom line accounting. The Organic Trade Association (OTA) is the membership-based business association for organic agriculture and products in North America. OTA is the leading voice for the organic trade in the United States, representing over 6,500 organic businesses across 49 states. Its members include growers, shippers, processors, certifiers, farmers’ associations, distributors, importers, exporters, consultants, retailers and others. OTA’s Board of Directors is democratically elected by its members. OTA’s mission is to promote and protect the growth of organic trade to benefit the environment, farmers, the public and the economy. Learn more about OTA at www.OTA.com or check out our consumer education website www.OrganicItsWorthIt.org for in-depth coverage of the benefits of organic agriculture and trade. World Learning unlocks the potential of people to address critical global issues through international education, exchange, and development programs. We work in Vermont and in more than 70 countries to enhance the capacity and commitment of individuals, institutions, and communities to create a more peaceful, just and sustainable world. Slow Money’s vision is to inspire new ways of thinking about what it means to be an investor in the 21st century, promoting principles of soil fertility, sense of place, cultural, ecological & economic diversity, and nurture capital. Slow Money is connecting investors to small food enterprises, catalyzing the flow of capital to local food systems and stimulating a national conversation about finance, culture and the soil. Since 1978 Ben & Jerry’s has supported local dairy farmers. Now they’ve pledged to support farmers on small family farms around the world by making all of their products Fair Trade certified by 2013. Clean Yield is an SEC-registered investment advisory firm working exclusively with social investors, primarily individuals and families. For more than 25 years our goal has been to invest to promote sustainable society while achieving competitive financial returns. Increasingly we work with our clients to channel investment capital into sustainable agriculture related enterprises and those developing renewable energy. Solidago is the Latin term for the goldenrod plant, whose name means, “to strengthen or make whole”. Inspired by this widespread and strong-rooted plant, the Foundation seeks non-traditional and creative approaches to deep-rooted social problems that address the institutionalized disparities of wealth, resources, power and opportunity. 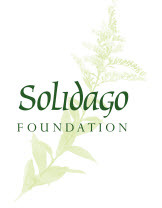 Solidago supports building progressive organizations and alliances for lasting structural change of unjust systems. The world’s largest organic yogurt maker, Stonyfield Farm was founded in 1983 and is headquartered in Londonderry, NH. Not only recognized as an organic industry leader, Stonyfield Farm also is a pioneer in social and environmentally responsible corporate practices. The company mission: We’re committed to healthy food, healthy people, healthy business and a healthy planet. Integrated Solar has been in business since 1975 and is your partner in the renewable revolution, bringing Net Zero Energy solutions to the world. We believe that renewable, sustainable energy systems are the key to protecting our global future. By designing and installing renewable energy systems we are contributing to this important shift away from fossil fuel dependence. The system technologies we offer include: Photovoltaic, Solar Hot Water, Geo-Thermal, Biomass, and Small Wind. The Vermont Sustainable Jobs Fund, located in Montpelier, Vermont, was created by the Vermont Legislature in 1995 to accelerate the development of Vermont’s green economy. We provide early stage grant funding , technical assistance , and loans to entrepreneurs, businesses, farmers, networks and others interested in developing jobs and markets in the green economy. Since 2000, VEC brings businesses, educational institutions and state and U.S. government officials together to make Vermont a leader in the green economy. 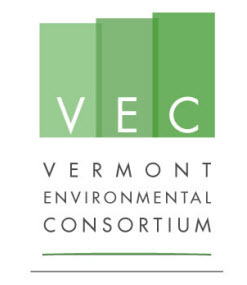 VEC promotes growth and job creation in Vermont’s environmental business sector through networking, information sharing and special projects. AWA is the only certification that guarantees animals were raised outdoors, humanely on an independent family farm. 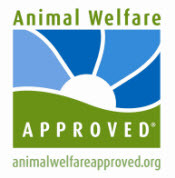 Search for farms, products and restaurants at www.AnimalWelfareApproved.org . Antioch University New England in Keene, NH provides transformative education through scholarship, innovation, and community action for a just and sustainable society. We offer an MBA in Sustainability in accelerated, weekend, and fully online formats, a 16 month MS in Resource Management and Conservation program for working professionals, and other practice oriented master’s and doctoral programs in Environmental Studies, Education and Psychology. Founded in 1984, Chelsea Green Publishing is regarded as the preeminent publisher of books on sustainable living. Watch for our latest “slow” book later this fall – Slow Gardening: A No-Stress Philosophy for All Senses and Seasons by Felder Rushing. Clear Venture Partners (Clear) is an early stage venture capital fund in formation. Led by Michael Gurau, Clear expects to raise (by 2012) a $50-75M fund that will focus on sectors that include products and services in the following sectors: healthy living (including natural and organic foods), clean/green technologies, and web and mobile. Since 2001, Michael has led as President CEI Community Ventures (CCV), a for-profit venture capital subsidiary of Coastal Enterprises Inc (CEI), a nationally recognized Community Development Financial Institution (CDFI). CCV is fully invested having invested in nine northern New England businesses (including three natural/organic food companies) located in underserved or distressed communities. Wholly unaffiliated with CCV or CEI, Clear expects to commence fund-raising in early 2011 and will continue to focus on undeserved regions and sectors (e.g. natural food) in New England. The Cooperative Fund of New England (CFNE) was founded in 1975 by co-op activists and social investors to provide financial and technical assistance to food cooperatives. Since then, the organization has expanded its focus, offering development loans and technical assistance to a wide range of co-ops and nonprofit groups that share CFNE’s vision of equality, justice, and social responsibility. CFNE is a bridge between socially responsible investors and cooperatives, community oriented non-profits, and worker-owned businesses in New England (and parts of New York). StakeHolders Capital is a full service investment management firm committed to advancing Socially Responsible Investing (SRI). We create portfolios for individual and institutional clients that meet both their financial goals and ethical standards and unlike our competitors, offer a sophisticated strategy to reduce volatility. We invest in funds based on a conviction that they offer competitive returns with access to broad diversification at a lower cost to clients. StakeHolders Capital is independent and does not receive commissions or referral fees of any kind. Discover the power of your investments with StakeHolders Capital. Sterling is a liberal arts college devoted to environmental studies. As a year-round college, Sterling offers a summer semester to take advantage of northern Vermont’s most productive season. Academic majors include Sustainable Agriculture, Conservation Ecology, Natural History, and Outdoor Education. Students pursue coursework at Sterling’s main campus in Craftsbury, Vermont, and can also choose among field study programs in Japan, Belize, Canada, Iceland, Alaska, the Bahamas, Scandinavia and the Sierra Nevada mountains. Sterling’s newest initiative is Vermont’s Table, a 5-week program in sustainable food studies, offered in two sessions during summer semester. Vermont Wilderness School specializes in programming for children and adults focused on cultivating long-term mentoring relationships rooted in community, nature connection, and earth living skills. Our programs include the Southern Vermont Permaculture Design Course, Oyase Community School, Full Moon Girls, Otter Day Camp and the Vermont Art of Mentoring Workshop. Inspired by the ways of Earth-based, indigenous cultures, we envision a future where the majority of our needs are met in a vibrant, local economy that serves both humans and nature alike. 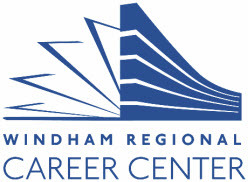 The Windham Regional Career Center is a regional career and technical school providing a diverse selection of career preparation programs for all students attending the Brattleboro Campus. The courses and programs are designed to allow students great flexibility in developing a course of study that supports personal and career development. The Center also offers adult education and workforce development opportunities for the Windham county region. Contact www.wrccvt.com or call 802-451-3965.